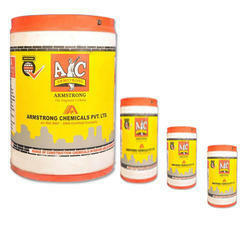 Prominent & Leading Manufacturer from Hyderabad, we offer mortar plasticizer. Backed by an adept team of professionals, we are offering Mortar Plasticizer which is waterproof by improving moisture retention bonding strength; the offered mortar plasticizer is well checked at our end on quality aspects for supplying a pure range. This mortar plasticizer is processed using supreme class ingredients as per the set industry norms. Free of cost solution in terms of cement saving for all plastering works. Looking for Mortar Plasticizer ?